Bob Kane signed limited edition of his autobiography, ''Batman & Me'', with a signed sketch of Batman. 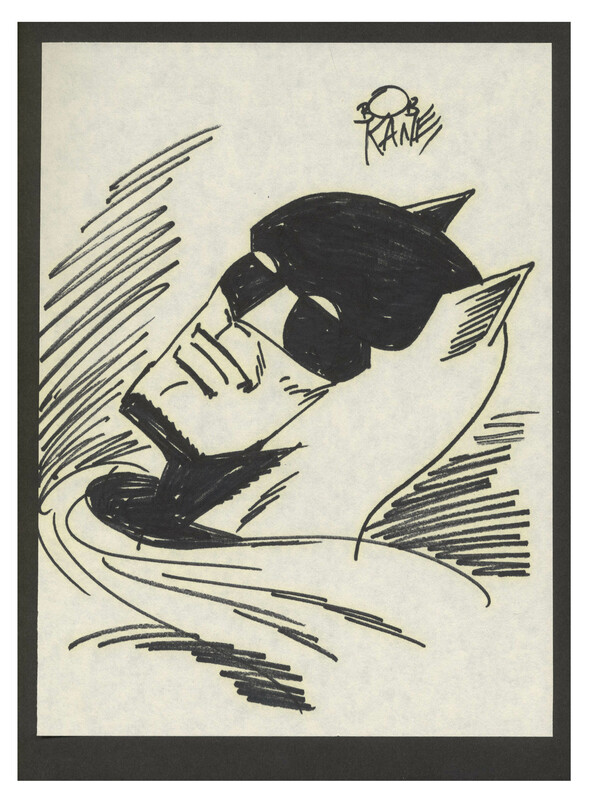 Forestville, California: Eclipse Books, 1989. 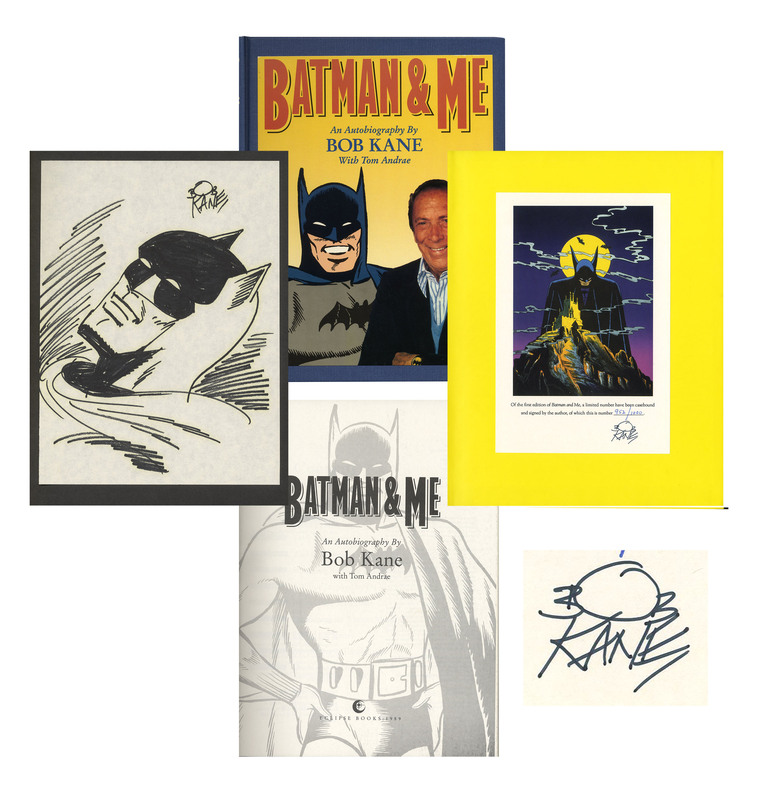 Limited edition number 952 of 1,000 features a dramatic hand-drawn sketch of Batman, signed by Kane, mounted to the black paper fly-leaf. 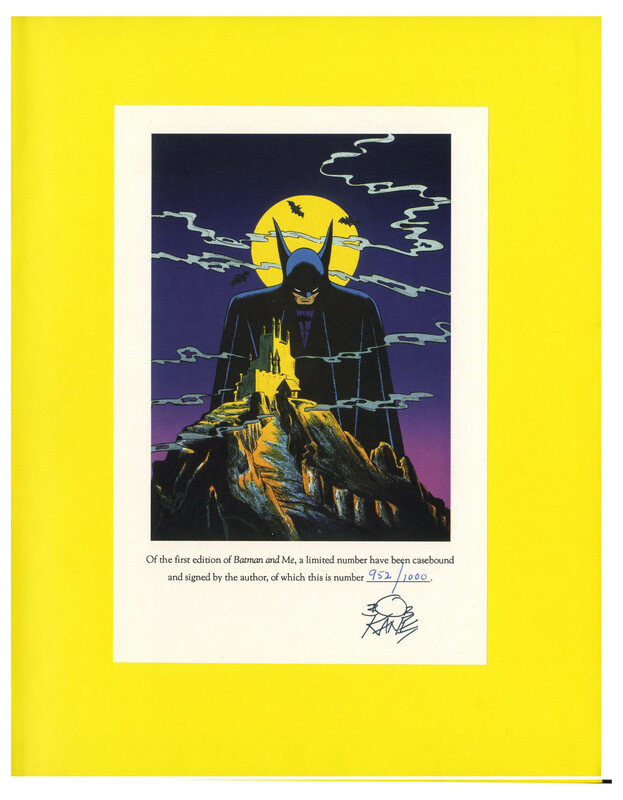 Signed limitation plate is affixed to the yellow front free endpaper. 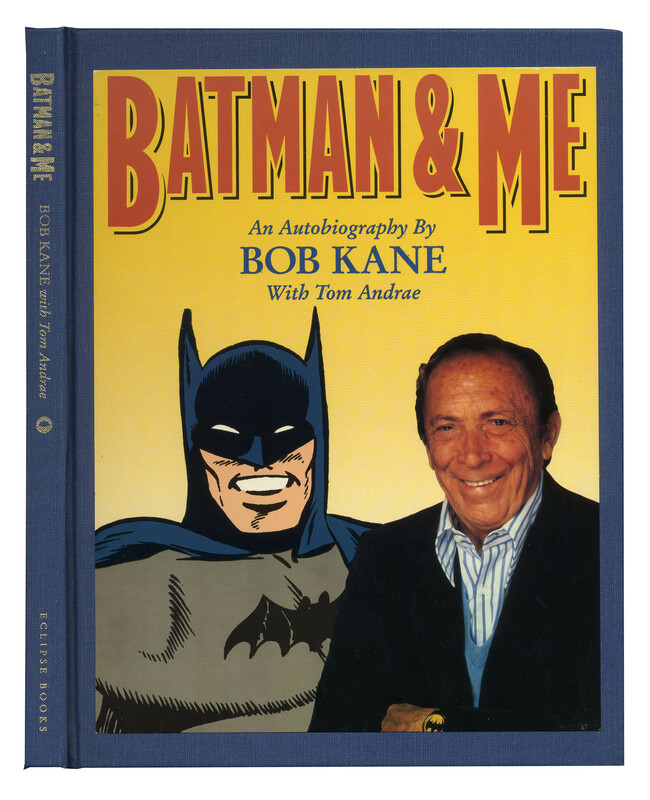 ''Batman & Me'' tells the fascinating story of the Caped Crusader, from Kane's inspiration to the first appearance in 1939 Detective Comics #27, through the 1960s television show and finally to the Tim Burton movie in 1989. 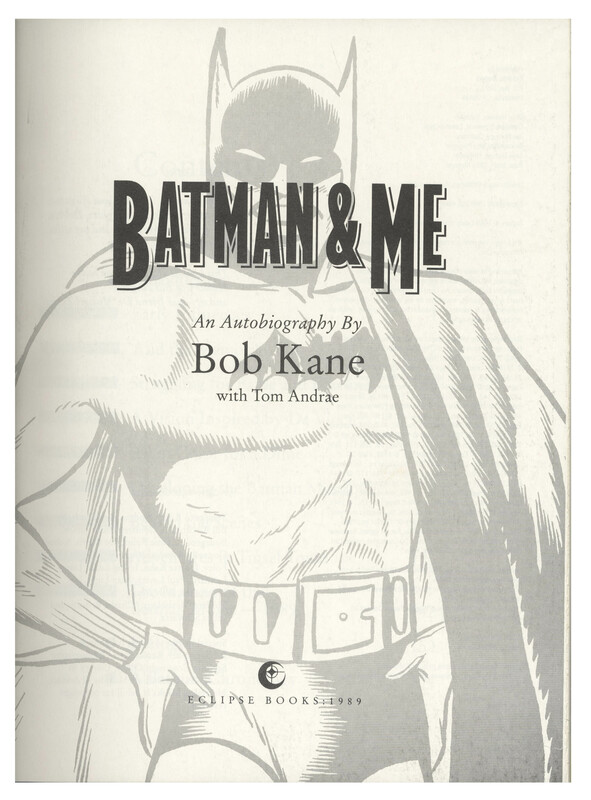 Profusely illustrated with photos, illustrations, Batman art and color reprints of early comics. 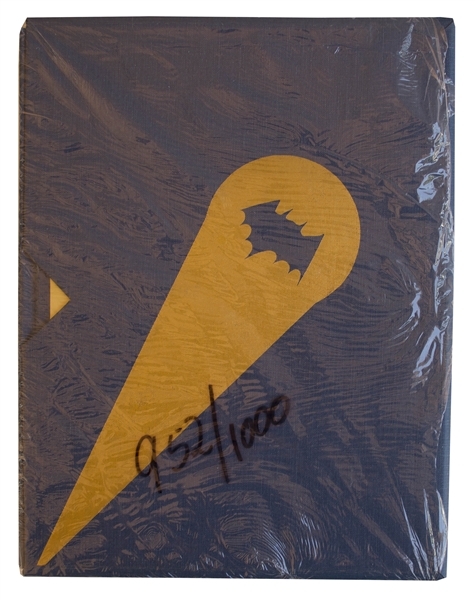 Runs 155pp., bound in blue cloth boards and housed in a matching slipcase, with gilt embellishments. Also with original shipping box. Slipcase measures 9'' x 11.75'' Entire set is in near fine condition.